The whisky-expression-releasing-machine that is Glendronach has just launched a limited edition 25 year old whisky, comprising of Oloroso and Pedro Ximenez sherry casks filled exclusively in 1993.The press release for the Master Vintage 1993 proclaims this year to have “long been acknowledged as an excellent vintage from The Glendronach”. 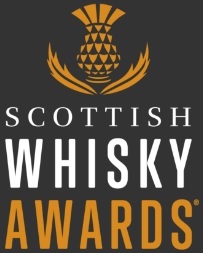 Not sure about that one, as the last few single cask batches have showcased fantastic whiskies from literally every year in the early 1990s (and I’m sure the late 1990s would have been the same had the distillery not been closed from 1996-2001). Having said that, if those single casks form the basis of this expression then we should be in for a real treat. Nose: A real wine gum note, the red and purple ones, then brambles, and three fruit marmalade on toast. Then there’s hazelnuts, milk chocolate, coffee creams, cinnamon swirls, leather bound books and teak. Warm and inviting, but it’s all very gentle. Palate: A real sweet start, with stewed apricots, pears and plums, then that wine gum note comes back. Then truffles, praline, chocolate orange, and gentle baking spices. There’s a nice mouthcoating oiliness too. Finish: Soft oak, gentle earthy spices and some sweet black tea. Overall: Well, it’s 25 year old Glendronach, so it’s never going to be bad, is it? Having said that, despite being inviting and unctuous on the nose, everything is a bit quiet. 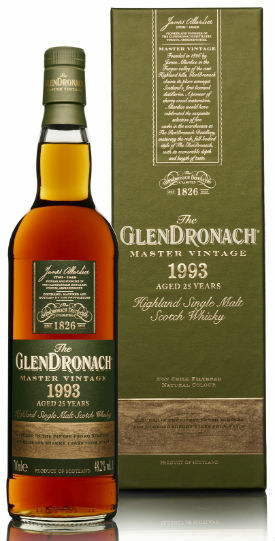 The palate really opens up with all that old school sherried loveliness, but the depth of flavour I’ve come to associate with this age and style of Glendronach isn’t quite there. Don’t get me wrong, this is a very good whisky, and I’d probably describe it as a gateway whisky, but not in the usually sense. If the early 1990s single cask releases are turned up to 11, then this is at 8 or 9 – it’s all there, just slightly pared back. 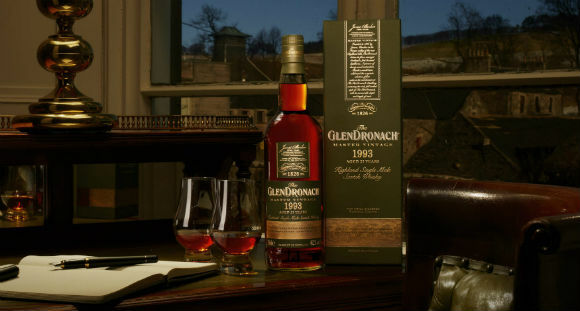 A dram of this might just be the nudge someone needs to move on from the higher aged Glendronach core range expressions to the plethora of similarly aged single casks out there. And when I look at it like that, I can see where it fits in to the portfolio. 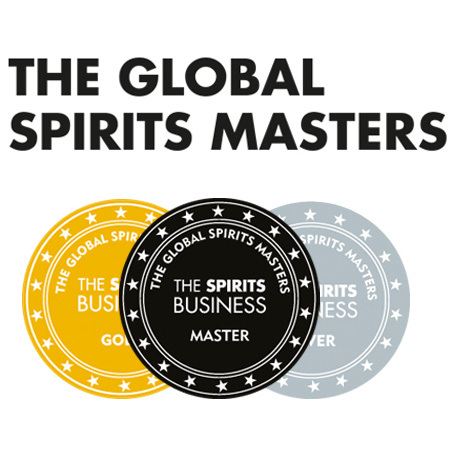 This entry was posted	on Wednesday, February 27th, 2019 at 11:11 am	and is filed under Reviews. You can follow any responses to this entry through the RSS 2.0 feed. You can leave a response, or trackback from your own site.